Our work focuses on developing new imaging methodologies and applying these methodologies to improve our understanding of human tissue function in health and disease. A major emphasis of our work is to identify subtle changes in physiology (e.g., biomarkers) that precede overt symptoms and clinical disease manifestations, and as such can be used to triage patients for disease-modifying therapies prior to irreversible tissue damage. Applications of this work by lab investigators and our immediate collaborators focus on cerebrovascular disease and stroke, cerebral plasticity, peripheral lymphatic disorders, anemia, fat disorders, neurodegeneration (Parkinson’s disease and Huntington’s disease), dementia, depression, multiple sclerosis, and schizophrenia. The laboratory is comprised of researchers with backgrounds in clinical trials coordination, physiology, engineering, physics, and biophysics. 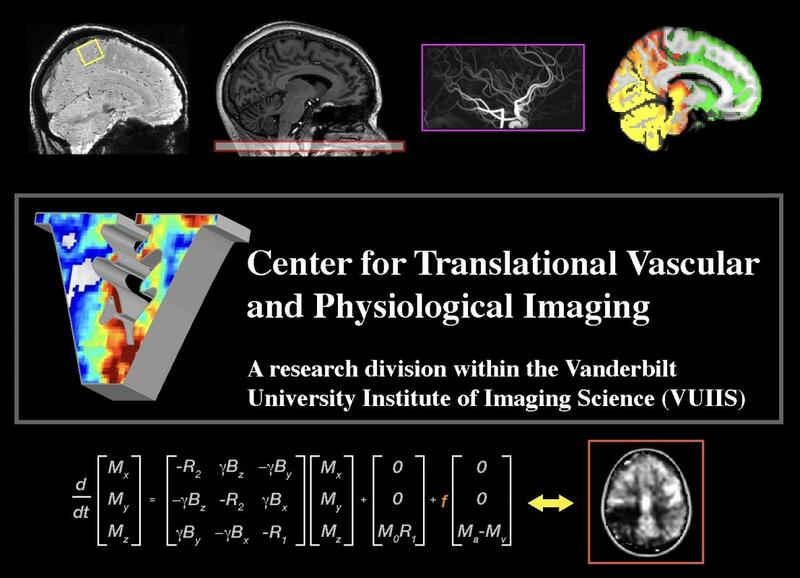 We are also supported by close collaborations with the Vanderbilt University Medical Center, including clinical faculty in the Departments of Neurology, Radiology, Psychiatry, Neurosurgery, Vascular Medicine, and Physical Medicine and Rehabilitation. Research funding over the past five years has been provided by the National Institutes of Health (National Institute of Neurological Disorders and Stroke and National Institute of Nursing Research), American Heart Association, Lipedema Foundation, Radiological Society of North America, Michael J. Fox Foundation, and Alzheimer’s Association.